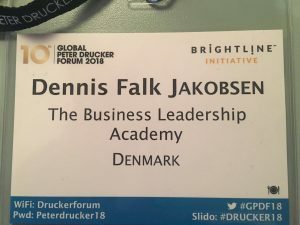 10th Global Peter Drucker Forum – what did I learn? The assembly of brilliant thinkers were amazing! The location was extravagant – well matching the pieces of golden advices offered. Gary Hamel was my star of the Forum, the way he ripped apart Resource Management in HRM and brought Dave Ullrich out of his chair, and declared the Manager for bankrupt were priceless. Mintzberg’s willingness to go against the establishment is admirable, while Paul Polman (CEO of Unilever) choosing to attend despite just the day before announcing his departure was equal to it. However, the Forum also highlighted, that the elite speaks to the elite thus missing an 98% audience. Little news under the sun in leadership and mangement which explains some of the ‘thin lines of research’ on display like Hal Gregersen’s spending 5-10 years of ‘Ask Question’. Personally I missed the ‘Economical Value of Leadership’ – well highlighted by Mr Ullrich’s in his recent book The Leadership Capital, so if you know of sources of litterateur to shed light on the topic please be kind to let me know. All this said – brilliant to be part of the Jubilee – Mr Peter Drucker deserves the attention and respect of the Forums great thinkers.  https://thebusinessleadership.academy/wp-content/uploads/2016/03/BG.jpg 228 405 Dennis Falk Jakobsen http://thebusinessleadership.academy/wp-content/uploads/2016/03/Logo-01.png Dennis Falk Jakobsen2017-03-22 09:21:582017-03-22 09:21:58#12 - What Do You Do for Others? - Extraordinary?! https://thebusinessleadership.academy/wp-content/uploads/2016/03/BG.jpg 228 405 Dennis Falk Jakobsen http://thebusinessleadership.academy/wp-content/uploads/2016/03/Logo-01.png Dennis Falk Jakobsen2016-12-22 13:37:102016-12-22 13:37:10How Do You Measure Profitability of Your People? https://thebusinessleadership.academy/wp-content/uploads/2016/03/BG.jpg 228 405 Dennis Falk Jakobsen http://thebusinessleadership.academy/wp-content/uploads/2016/03/Logo-01.png Dennis Falk Jakobsen2016-11-20 16:14:552016-11-20 16:15:00Welcome to Leadership - An Open Letter!